It is easy to find someone to sell you an ISB block heater for your Cummins engine. The hard part is finding solid information on the heater, along with block heater installation instructions. This is a simple page that shows what you really want to know about this block heater. Here is a photo of the ISB heater we stock. 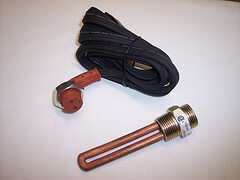 This block heater is made by Fleetguard, and has a 120 volt, 750 watt rating. 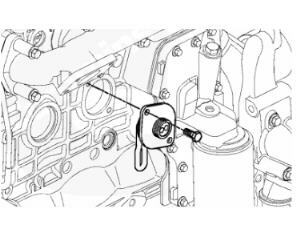 Here is a drawing of the actual location of the block heater on a Cummins ISB engine. Drawing shows the right (passenger) side of the engine. This is the most common type of heater for both the VP44 and Common Rail ISB engines. 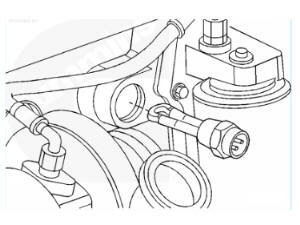 This drawing is also of the right side of the engine, and shows an alternate option for the common rail ISB engine.